There has been a surge in registrations for the septic tank fee in the build-up to tomorrow’s deadline of the €5 discounted rate ending. 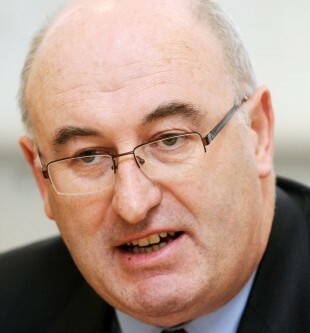 That is according to Minister for the Environment Phil Hogan, who compared it to a late surge seen in relation to the household charge back in March. Septic tank owners have until tomorrow to pay the €5 fee or have it increased to €50. People are legally obligated to register for the inspection of their septic tanks by February 1st 2013. More than 113,000 households have registered and Mr Hogan urged those who had not paid to do so. “Anecdotal evidence has shown that the introduction of the registration has already improved our environment, with people locating their tanks for the first time in years and getting them desludged,” he said. An objective and evidence-based system of inspections would start in 2013, Mr Hogan said. Unless there was evidence of endangerment of human health or the environment, the system in place should pass inspection. According to last year’s census, there are 497,281 septic tanks and other on-site waste-water treatment systems in the State. What now for Irish Water following the election?